Bel-Ray Blue Tac Chain Lube is a high-performance, fully synthetic chain lube for all powersports chain applications. Developed with input from professional racing teams, Blue Tac Chain Lube offers an extremely tacky formula that will not fling off when used as directed. Professional racing teams and dyno tests have proven that even at speeds of 100 mph and up, Bel-Ray Blue Tac Chain Lube remains in place on your chain, providing the performance and protection you require. Bel-Ray® Super Clean Chain Lube is an aerosol chain lube that utilizes the the latest innovation in chain lubricant technology, combining unsurpassed anti-wear protection for long chain and sprocket life with an outer protective coating that will not attract dirt, sand, or grit and ABSOLUTELY WILL NOT FLING OFF when used as directed. Suitable for all ‘O’ ‘X’ and ‘Z’ ring and roller type chains for street, off-road, and racing use. Bel-Ray Chain Cleaner is formulated to clean the most stubborn dirt and grime from motorcycle chains. This product is safe on all o-ring materials and is designed to clean the dirtiest chains. With Bel-Ray Chain Cleaner’s high powered solvent and high pressure combination, cleaning any chain is quick and easy. No residue is left behind after use, so fresh chain lubricant can be applied directly after using Bel-Ray Chain Cleaner. No residue ensures optimum performance of chains. 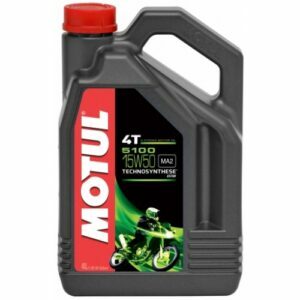 Can apply new chain lube directly after use. Fast and economical removal of grease, grime and dirt from chains Easy to use aerosol spray applicator permits pinpoint precision for best results in difficult to reach areas. Leaves no mess to clean. Technosynthese® 4-Stroke lubricant – Ester technology – Improved shear resistance. High temperature resistance. Meets JASO MA2 specifications for optimal wet clutch performance. Suitable for catalytic converters. 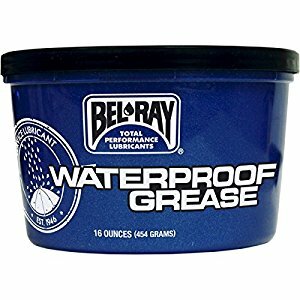 Bel-Ray Waterproof Grease is the legendary high-performance, multi-purpose grease. Superior water resistance, even in salt water, will ensure continued sealing and protection. Perfect for wheel bearings, headsets, shock linkages, swing arm pivots and other motorcycle, ATV, snowmobile and marine chassis lubrication points. Due to its aluminum complex formula, it won’t melt or run out. 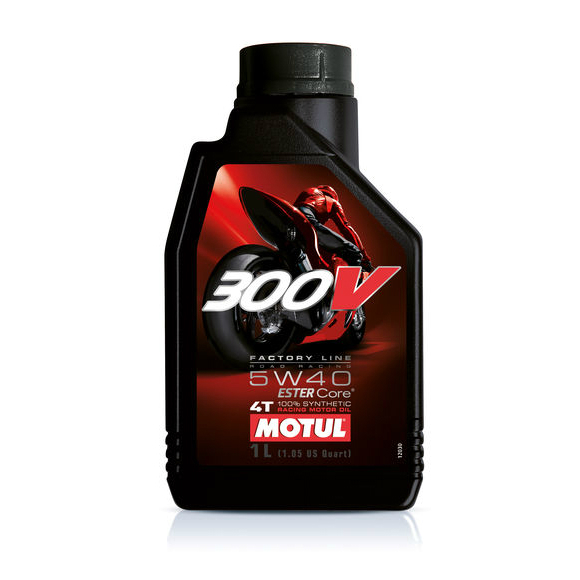 Enhanced mechanical stability and special anti-wear additives protect and lubricate bearings for improved performance.